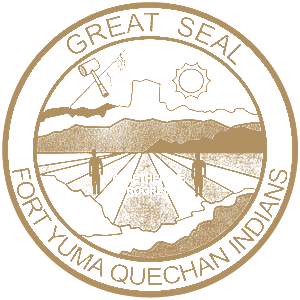 The Quechan Tribal Police Department is a full functioning Police Agency established in 1996 to provide protection for the Quechan Nation, its enterprises and most importantly its membership. The Quechan Police department operates under the leadership of Kirk J. Nerva – Chief of Police and the departments daily functions are directly supervised by Police Sergeants James Jackson and Donald Medart Jr. The department is comprised of a Police Chief, 2 Sergeants, 9 Full Time patrol officers, 6 Full Time Emergency Dispatchers and an Administrative Assistant. All officers are certified by the State of Arizona and the Bureau of Indian Affairs. 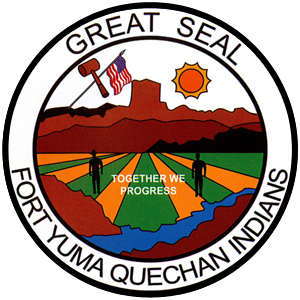 The officers enforce State, Tribal and applicable Federal Laws within the boundaries of the Fort Yuma Indian Reservation and strive to ensure the highest quality of service and professionalism for the community we serve. The Quechan Police Department is dedicated to the community we serve and we participate in various community events within the reservation and surrounding areas. Participating in community events is vital to the Quechan Police Department because it allows our officers an opportunity to interact with community members and ensure that we maintain the community trust that we rely on to better serve our nation. 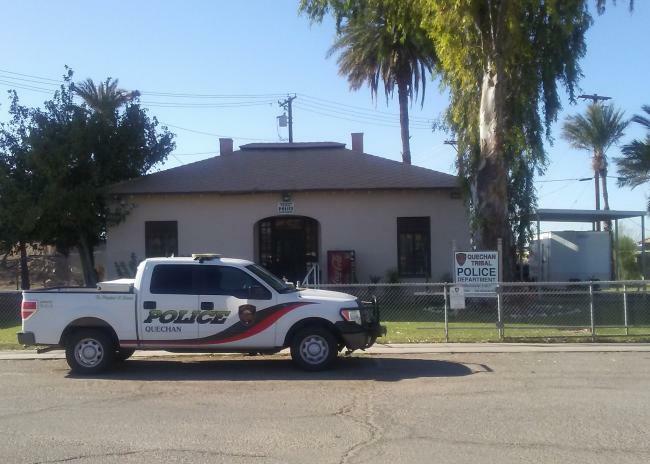 Anyone with Questions or concerns involving the Quechan Tribal Police Department is encouraged to contact the department at (760) 572-2933 anytime 24 hours a day 7 days a week.